For those who enjoy a snack with their evening tea or for those young kids running around in your home. These healthy alternatives will be loved by kids and adults! This dish is a winter special when fresh peas are available in plenty! 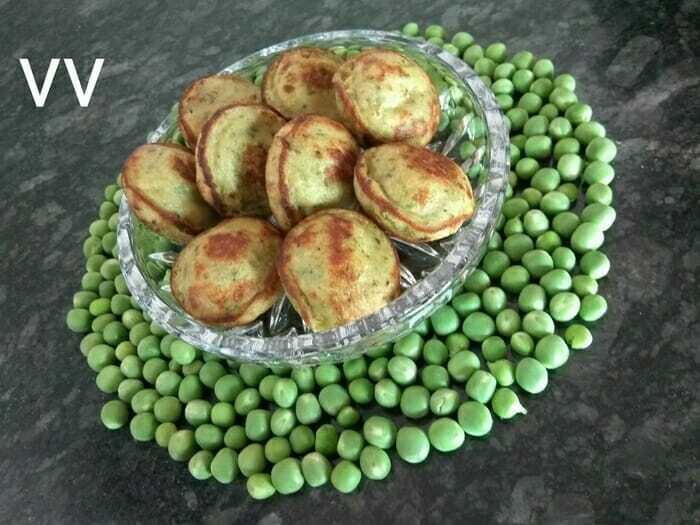 The paniyarams are made protein rich by adding peas and it gives a good taste. Try this healthy variation before fresh peas vanishes from the market! 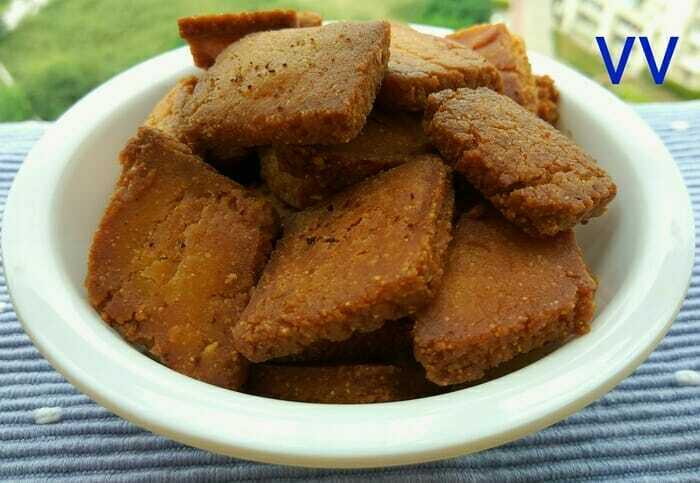 Ammini or Mani kozhukattai is a tamil delicacy, generally made with the leftover kozhukattai or modhakam dough. Spices are added steamed and shallow fried to make them crispy. 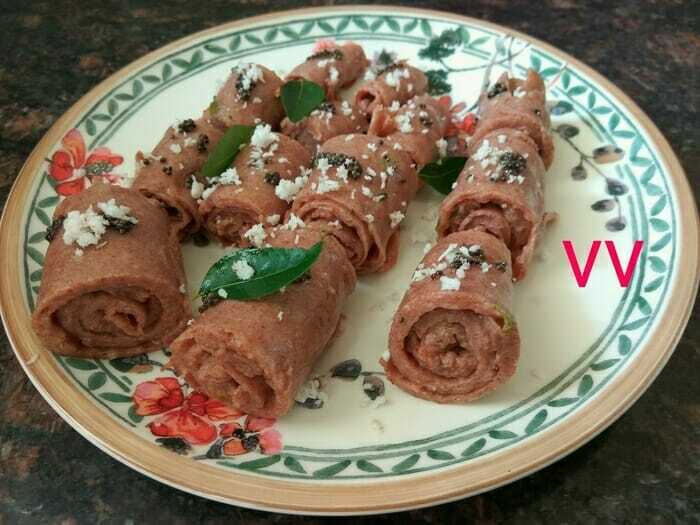 I used jowar flour to make this simple yet tasty dish. Khandvi is a Gujarati dish made with gram flour/besan. Sour curd and spices are added and and rolls are made with the cooked batter. I tried with Ragi and it came out really well and tasted awesome! It is an OPOS dish. 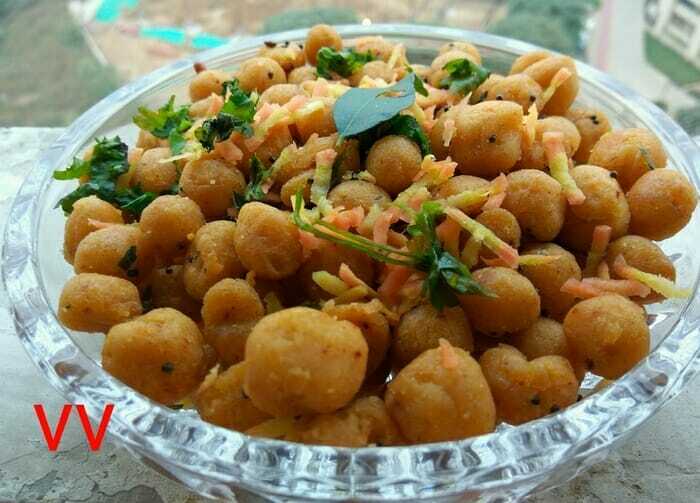 Kunukku is a snack item prepared with soaked and ground rice and pulses along with spices and deep fried later. Replacing rice with millet didn’t change the taste. 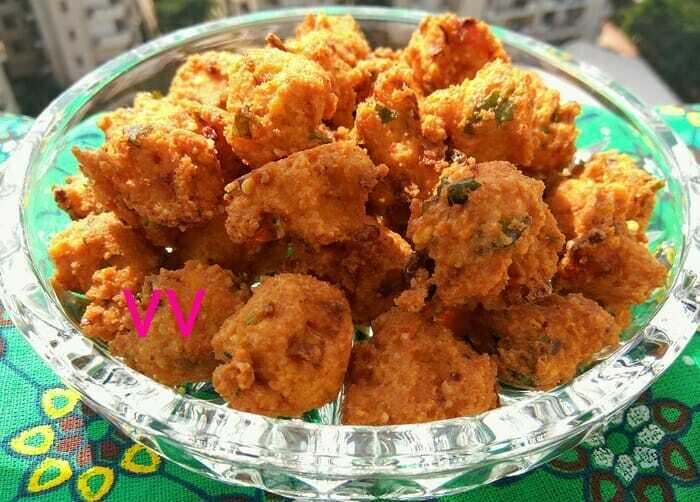 The millet kunukkus stay crisp for a long time and absorb less oil compared to rice.